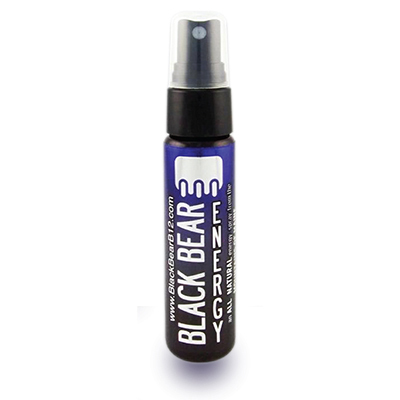 Black Bear Energy Spray contains a unique blend of hydroxyl B12 and adenosyl B12 – special forms of B12 that can be used directly by your body. It also includes a mineral blend containing molybdenum, a mineral which helps the body to process toxic sulfites, dairy and alcohol. Some of the largest molybdenum stores are found in Maine. We use xylitol and trehalose as sweeteners.